Fiona Mozley, the author of Man Booker shortlisted and Dylan Thomas Prize longlisted Elmet, wrote her debut novel while travelling between Peckham, in South London, and her nine to six job in Central London. She missed the landscape of northern England, which is where she grew up and where Elmet is set. Jotting down notes on her smartphone and laptop, she attempted to evoke this landscape during her daily commute, allowing a temporary respite from the daily grind. Though we seldom see people writing on trains, many commuters read or browse aimlessly on their smartphones. Emily St. John Mandel, staff writer of The Millions, spoke of her subway writing habit in “Writing on Trains.” “With a combined total of six hours spent on a subway a week, it felt like extra time,” she says. Mandel sought out other writers who wrote on trains, including memoirist Julie Klam and novelist Joe Wallace. Klam appreciated the need to beat the clock and get down thoughts before her station, as opposed to the long hours she’d spend writing at home on her Mac. Analogue writing setups of the past would offer fewer opportunities for distraction; the view from the open window and the kettle perhaps being the most enticing. Joyce Carol Oates, Jhumpa Lahiri, and Amy Tan still write their first drafts longhand, while Cormac McCarthy still types his manuscripts on an Olivetti Lettera 32. When used productively, modern day technology can be transformed from a creativity-killing distraction to a convenient tool to note down those epiphanies or observations that would otherwise be forgotten. If Werner Herzog’s documentary Lo and Behold: Reveries of the Connected World holds any truth, modern technologies will soon become more integrated into our daily life. “You could essentially in the not too distant future, tweet thoughts,” Marcel Just, the D.O. Hebb University Professor of Psychology at Carnegie Mellon University tells Herzog. “So not type your little tweet, but think it, press a button, and all of your followers could potentially read it.” One day we might be able to transcribe words directly from our minds onto the page. The importance of writing, in the traditional sense, is evolving. Perhaps the romantic notion of putting a pen to paper might start to wane, as we see the value of being able to pluck ideas straight from the unconscious mind. I cast no shadow. Smoke rests behind me and daylight is stifled. I count railroad ties and the numbers rush. I count rivets and bolts. I walk north. My first two steps are slow, languid. I am unsure of the direction but in that initial choice I am pinned. I have passed through the turnstile and the gate is locked. I still smell embers. The charred outline of a sinuous wreck. I hear the voices again: the men, and the girl. The rage. The fear. The resolve. Then those ruinous vibrations coursing through wood. And the lick of flames. The hot, dry spit. The sister with blood on her skin and that land put to waste. I keep to the railways track. I hear an engine far off in the distance and duck behind a hawthorn. the sentences and paragraphs I wrote on my phone during my commute were very useful for keeping up the momentum. Sometimes when you’re writing–particularly if you’re working full time–you can have periods of writing nothing at all. Even if I found myself unable to write full sections, jotting ideas down on my phone meant that I felt a constant sense of progression. London is a wonderful city, but it is a very difficult place to live unless you have an incredibly high salary or you come from a rich background. I have friends from university who still live there, who will never be able to afford a flat or house that they don’t share with several others. When I lived in London, there were five of us sharing a house and we didn’t have a communal living area because we’d had to turn it into an extra bedroom. For a while I shared a bedroom with a friend to keep the costs down. This kind of thing is typical, and while you could say that it’s normal or acceptable when you’re straight out of university, this is the kind of situation that my friends will be in for the foreseeable future, into their forties or even beyond. These are people with degrees from the University of Cambridge, and people who have good jobs – they’re just not lawyers or bankers. I left London a few years ago and returned to Yorkshire, where I have a much better quality of life. It would be a shame for London, however, if all the writers and artists are forced out. With Elmet, I wanted to experiment with the idea of a rent strike. I wanted to toy with the idea of all renters getting together and refusing to pay their landlords. They all just decide to live in their houses for free. I really had no idea what I was going to do with my life, so I wrote Elmet in order to have something outside of myself to think about. I guess you could call it “writing as therapy,” but it ended up being much more public. The otherworldly quality was always deliberate. Although it’s a contemporary novel, some of its major concerns are the thrall of history, the weight of the past, and the ways in which those things inform contemporary ways of life. That deliberate otherworldly quality is effective in that we can imagine what lies beyond the train tracks and the fields that once belonged to the Celtic Kingdom of Elmet; and we can for a moment feel what the narrator Daniel sees and feels. Flexibility regarding the process enabled the author to record her astute observations and ideas with whatever she had to hand, as she felt them. As a consequence, the fictional Elmet feels like a world fresh from the unconscious mind. I like fiction that provokes a sensory response. I wanted to address a number of issues in Elmet, and I would like to make people think, but primarily I want to make people feel. I’m fascinated by the idea that you can write words on a page that someone else goes on to read, and then that person might laugh out loud, or sweat with anticipation, or their breathing might quicken. I love the idea that fiction can have a physical response. Upon leaving the literary agency, Mozley returned to her hometown of York, where she combined working part-time in a book shop with a doctorate in Medieval Studies. With this new found confidence, a willingness to write using everything she had at hand at every opportune moment, and the tone imparted to her by the historical documents she worked with during her PhD, Mozley brought us Elmet—a lyrical novel that speaks simultaneously of a country for which I have nostalgia as an expatriate, and a place that seems to belong to the realm of dreams. John, described as a giant, has built a house with his own hands in an isolated wood set in the rugged landscape of rural Yorkshire. He earns money through underground fights, which he seldom loses. He protects his children, the narrator Daniel and his elder sister Cathy, from the real world, which at times seems cruel and unjust. Together they roll cigarettes, hunt for their food—tend to the house as their father goes out for days on end. As readers, we come to realize that their ancient way of life is threatened by the land ownership laws of modernity. And all of this takes place beyond the rail tracks, across the fields, in a place to which you or I will unlikely ever venture. Eventuate is ‘an elaborate journalistic word that can usually be replaced by a simpler word to advantage.’ George P. Krapp, A Comprehensive Guide to Good English (1927). Tickled, I hugged my newest diction and style guide to my chest. What a great new writer’s tool I didn’t even know that I needed. This got me thinking about my other writers’ tools. What are the books that every writer should have handy? My other go-to writing books are not necessarily manuals of mechanics, but instead are resources that provide inspiration, moral support, models of good writing, and above all, comfort. When I was 18, taking expository writing in my first semester of college, my professor, Kevin DiPirro, assigned Writing Down the Bones: Freeing the Writer Within by Natalie Goldberg. It was an optional text, so while he assigned us to read certain chapters concurrently with our other assignments, we never once discussed the content of the book in class. Instead, we wrote expository essays trying to frame rhetorical situations, analyze evidence, and make well-researched arguments. But my teacher-student relationship with Natalie Goldberg started that year, and for that, I’ll always be grateful to Kevin. This is the practice school of writing… You practice whether you want to or not. You don’t wait around for inspiration and a deep desire to run. It’ll never happen, especially if you are out of shape and have been avoiding it. But if you run regularly, you train your mind to cut through or ignore your resistance… Sit down with the least expectation of yourself; say, ‘I am free to write the worst junk in the world.’ You have to give yourself the space to write a lot without a destination… My rule is to finish a notebook a month. Simply fill it. That is the practice. Think of writing practice as loving arms you come to illogically and incoherently. It’s our wild forest where we gather energy before going to prune our garden, with our fine books and novels. It’s a continual practice. Sit down right now. Give me this moment. Write whatever’s running through you. You might start with this moment and end up writing about the gardenia you wore at your wedding seven years ago. That’s fine. Don’t try to control it. Stay present with whatever comes up, and keep your hand moving. I wrote for about five or 10 minutes in my notebook, and wrote what was running through me. My experiences and deepest longings leapt straight from my heart and out onto the page through my hand, and the act of writing became so simple and direct that it was as if my brain was just a spectator, anxious mutterings quieted at last. By the time I finished, I was quietly sobbing in that dark corner of the library, in the sheltered desk carrel that shielded me from the rest of the campus studying on that day in late September of 2002. Something was unleashed that day, and I was so moved by that feeling of being granted permission to write any way I wanted that I dated that page in Writing Down the Bones. Something big happened here today. Be specific. Don’t say ‘fruit.’ Tell what kind of fruit—‘It is a pomegranate.’ Give things the dignity of their names. Watch when you listen to a piece of writing. There might be spaces where your mind wanders. One paradox of my writer’s toolbox of books is that I don’t often write at my writing desk—preferring instead the anonymous yet community feel of a table at my local coffee shop. But I tend to carry that dog-eared and war-torn copy of Writing Down the Bones with me wherever I go. Sometimes I switch it out for my almost-as-demolished copy of Bird by Bird by Anne Lamott, which is funnier and a bit more genre-specific about writing fiction. Over the years, I have trafficked through copies of The Artist’s Way by Julia Cameron, On Writing by Stephen King, Zen and the Art of Writing by Ray Bradbury, Still Writing by Dani Shapiro, and Truth and Beauty by Ann Patchett—which technically isn’t a craft book, but I lump it in, because it’s a memoir of being a young unpublished writer and of “making it,” documenting one particularly deep writing friendship. You could say that I’m a craft book junkie. You could say that. I also keep books around that remind me of what I love about good writing. I have books that I reread just for the feeling of basking in good writing, like snuggling under a warm blanket or quenching my thirst with a perfectly cold glass of water. Novels like The Mysteries of Pittsburgh, Motherless Brooklyn, A Visit from the Goon Squad, Fight Club, and the Unbearable Lightness of Being are some of these books, and in college, along with the books I was reading for classes, I kept a “greatest hits” shelf of books that made me feel better just by dint of their being nearby. Yet I don’t own a dictionary. My fiancé, a recreational poet, has a rhyming dictionary, which it has never occurred to me to purchase. I use an online thesaurus regularly at work, but in this digital age, I would never buy a hardcover copy. Recently, I picked up a copy of Scratch: Writers, Money, and the Art of Making a Living, which I think of as a kind of lifestyle companion for writers delusional enough to think they might someday might make real money from this. It has anecdotal guidance and moral support for writers and those pursuing the writing life, a type of useful and practical advice that reminds me of my regular bimonthly Poets & Writers arrival. My subscription always seems on the verge of lapsing, but I read the magazine cover to cover whenever it arrives. I read the Residencies and Conferences and Grants and Awards sections with a pen in my hand. I was giddy but apprehensive about my gift of Garner’s Modern Usage. My first thought was, I should bring this to work! In my office, my windowsill-turned-bookshelf has on it a weathered copy of William Zinsser’s On Writing Well, an ancient copy of William Strunk Jr. and E.B. White’s Elements of Style, an untouched copy of the AP Style Guide, and Bill Bryson’s Dictionary for Writers and Editors. The latter is interesting but not comprehensive, so I eventually stopped looking up entries that didn’t exist. But it has a beautiful cover. My second thought was, Screw work, I want to keep this at home and use it for my own writing at my writing desk! My immediate third thought was, I have to clean my writing desk! Lacking bookshelf space, I started stacking books I’ve just read or want to read on one corner of the small wooden desk I shellacked with rejection slips years ago, back when literary magazines sent paper rejections. I have a tiny ceramic lamp that sits on the other corner of the desk, and without a home office space larger than the footprint of this desk, I’ve collected a variety of other things on its surface—papers, folders, envelopes, DVDs, an unpaid doctor’s bill. My checkbook, more books I’m planning to read, recent drafts of novel revisions, with all manner of handbags and tote bags hanging off the handles of my desk chair like a flea market handbag stall. Could a single modern usage book revolutionize my home writing space and daily writing practice? Write Anyplace. Okay. Your kids are climbing into the cereal box. You have $1.25 left in your checking account. Your husband can’t find his shoes, your car won’t start, you know you have lived a life of unfulfilled dreams….Take out another notebook, pick up another pen, and just write, just write, just write. In the middle of the world, make one positive step. In the center of chaos, make one definitive act. Just write. I write her words, copy them into my notebook, and in that moment, I am reborn. I like having authorities, teachers, mentors on the page. Natalie has taught me a great deal in the 15 years that I’ve been reading and rereading her book. Maybe Bryan Garner can become my newest teacher on the page, in his witty biting asides about “eventuate” and “insofar as” and many other linguistic predicaments that I have yet to identify. Of course, one great appeal of having the voice of Garner giving me authoritative advice on proper usage is that hovering over his shoulder is the friendly specter of David Foster Wallace, and next to him, my dad nodding along and laughing at my enthusiasm. When he gifted me the book, he said, “This is a great reference for a writer.” It’s in those tiny moments that I feel his slight seal of approval, or at least simple affirmation, of that life that I’ve chosen for myself. He sees me as a writer. Thanks, dad. The post was produced in partnership with Bloom, a literary site that features authors whose first books were published when they were 40 or older. What is now recognized as the “first Thanksgiving” took place nearly 400 years ago, in 1621, when members of the Wampanoag tribe and Pilgrim settlers sat down together for a three-day feast. The Thanksgiving meal is still central to the occasion today, but we also connect it to a range of other associations—from football to potentially challenging conversations with family to the encroachment of Black Friday. There’s no doubt the holiday has changed. Yet, for some, the image of Native people has not. When Marcie Rendon was a child, the only representations she saw of her community were set in a distant past that had no bearing on her present reality. Her debut novel Murder on the Red River (Cinco Puntos Press), which was longlisted for the Center for Fiction’s First Novel Award, tackles that issue head-on by introducing readers to a young Native woman who is very much an inhabitant of the 20th century. This is Rendon’s first novel, and her children’s book, Pow Wow Summer, was reprinted in 2014. She is a recipient of the Loft’s Inroads Writers of Color Award for Native Americans. Rendon generously agreed to talk with Bloom about Murder on the Red River and her writing process. Ericka Taylor: Are you a reader/fan of the murder mystery genre? Who are some of your influences in this genre? Marcie Rendon: Yes, I read murder mysteries, psychological thrillers, and action thrillers—what I call airport novels. I have been a longtime reader of Stephen King. In my opinion he is the ‘best’ storyteller. The other authors I gravitate to are John Sanford, Lee Child, and the Kellermans. After reading one book of Henning Mankell’s in his Wallander series, I went online and ordered them all and binge read them all. I love King as a storyteller: the first time I visited Maine I “remembered” being there and had to remind myself I only thought that because of reading King. Sanford’s books are easy to read, even while taking you on a roller coaster ride of murder and chaos. I think (though I don’t know because I’ve never talked to him) his writing is so good because he is a journalist. There isn’t a lot of “extra”—which I find time consuming and annoying—in his writing. I want the story. ET: Murder on the Red River is not a typical murder mystery in that Cash has access to clues and investigative tools unavailable to (or, at least not often used by) traditional law enforcement. She doesn’t only use her dreams and visions to guide her, but also eavesdrops on suspicious conversations and tails potential suspects. How did you decide when to apply the various skills Cash has at her disposal? MR: My writing process is character driven not “format” or “outline” driven so the story evolved as the character evolved. The skills Cash used were determined by the situation she found herself in. ET: What was most clear to you about the character Cash, then, when you started the novel? What traits and experiences evolved as you wrote? Did you “discover” things about her as you wrote? If so, anything surprising? MR: Cash, the character that appeared was, and continues to be, very compelling and insistent on where the story is going. There is the tough bar girl but underneath all that is the vulnerable young woman who survived a lot growing up. She is very smart, both intellectually and with common sense. When I re-read parts of the book I notice how detached she is from much of the heartbreak in her life. In today’s world she would be diagnosed with PTSD. ET: Place is prominent in the novel, and you really ground the reader in both the history and geography of the region. The only chapter headings in the book refer to the setting, based first in Fargo on the North Dakota side of the Red River and then in Moorhead on the Minnesota side. 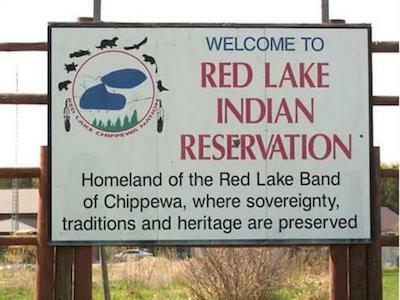 The Red Lake Reservation is also a key location. Could you tell us about your decision to make place central to the book and what you were hoping it would evoke? MR: I grew up on the edges of the White Earth Reservation, in and around the Red River Valley, so it is country and landscape that is home to me and is familiar to me. As Native people we have never left our homeland, we are home—so place is our experience on this continent. We know who we are, and where we are from. We are not newcomers to the idea that the Earth is a living entity. It makes sense that in my writing the land is as much a character as the human characters. Prior to European contact, the state lines we know as they exist in the United States did not exist in Native worldview. I believe the same is true for many farmers. They farm the land and have a relationship with the land and the weather and changing seasons. The place settings of North Dakota side and Minnesota side of the Red River were included to help the reader understand the current demarcation between the two states, the two cities of Fargo-Moorhead and the Red River as the dividing line. ET: Are there also metaphorical/thematic ideas embodied in that dividing line? MR: As always, one can conjecture the divisions and boundaries that exist because of gender, class, and race. There are lines that we can use to divide us or there are rivers and fields of life that sustain us all. I think as humans we need to decide which is important to us—the divisions or the sustenance. ET: When you set out to create this mystery, did you already know whodunit, or was that something you discovered through the writing process? MR: I knew at the beginning that it was a non-Native person who did the killing. I learned as I wrote the number of men involved in the situation and their reason for doing so. ET: Can you say more about that, i.e. the murderer was a “type” of person before an actual person with motives—what was your interest in establishing that from the outset? MR: This story called for this “type” of person to have done the dirty deed. In another story, it could easily be the other way around; or another type of person completely; i.e. a woman killing a man. This story just happened to call for this particular situation. I have a short story that will be published in an upcoming Sisters In Crime anthology here in Minnesota. The murderer in that story is a young, pre-teen, Native girl. I guess for me it all depends on where the muse takes me or asks to be taken. ET: Cash suffered the horror of being raised in foster care with white families who saw her not as a child, but as free labor. How much did exploring that phenomenon, which shifted a bit with the 1978 passing of the Indian Child Welfare Law, shape the timeframe (1970s) in which you set the story? MR: Cash is the one who set the time and place for the story to occur. I, as a Native writer, was not exploring the phenomenon of foster care when I was writing. I was just writing a story, what to my mind was a murder mystery. It was during the editing process when my editor started asking questions about the foster care story in the background that I also realized, yes, that story was there. It is a story that is so much a fabric of the existence of Native people during that time in history that I wasn’t even aware it was something I was writing about. This was “normal” during that time. ET: Would you say that the editorial process made you more “audience aware”? And if so, how else did that awareness shape the editing/revision process. MR: In the editing process I became more cognizant of cultural differences, knowledge bases, and perceptions. Years ago I wrote a play about Sacajawea. During the research necessary for the writing of that play I realized that Sacajawea never had her story told. The story that is told is Lewis and Clark’s story—and as white men who had a written language, everything that has been written about Sacajawea has been written from their white, male perception, not from the mind and heart of a 12 year old girl-child, stolen, raped, beaten and then used as bait to cross the continent. We would know a totally different version of her story if She had had a written language, a way to record Her story. All that to say . . . as my wonderful editor Lee Byrd worked with me, she was able to direct me to places where I was writing from a Native-centric worldview that not all non-Native people have been exposed to, and there were places to expand a bit so the non-Native reader would have a better understanding of the overall story. ET: Do you generally think about or concern yourself with who you’re writing for? MR: My primary goal as an Ojibwe woman writer is to create mirrors for my people. My hope is that I am writing stories that everyone can enjoy. ET: Although Cash is a work of fiction, she, like her creator, has an interest in poetry. Are there any other similarities that you and Cash share? MR: I used to shoot pool, love shooting pool. And as mentioned previously, I grew up in the Red River Valley. ET: Is it as uncommon as it seems in the novel for a woman to be so good at and involved in pool culture where you grew up? MR: I think in the Native community there are fewer gender stereotypes. Women shoot pool, play baseball or softball. There are a good handful of Native American boxers. In this story Cash is the pool shark. If Cash spent more time on any of the nearby reservations I am sure she would encounter other Native women who would give her a run for her money at the tables. ET: You’ve talked about the importance of making sure Native youth see current Native images, rather than only seeing reflections of themselves that exist in the past. How much does that desire shape your writing projects? Were you exposed to literary images of present-day Native Americans in your youth? MR: As a child, it was next to impossible to find a book that featured Native people who were not the stereotypical Indians on the Plains, riding horseback and wearing a headdress. And that is who was featured in movies and on TV. With the exception of learning false stories about Pocahontas and Sacajawea in Social Studies classes Native women weren’t mentioned at all. So one of my primary goals in all my writing is to create mirrors for Native people to see themselves. ET: In addition to being a novelist, you’re also a poet, playwright, and author of children’s books. Do you feel more drawn to one form over another? MR: I do write a lot of poetry and someday will find a publisher for a book of poems. To date most are in various anthologies featuring Native women poets. I do wish I had more time to devote to writing plays. To see characters brought to life on stage is very fulfilling. But I love to write—I love the stringing of words together to create image, story, and life. ET: Could you tell us a bit about your writing process? Do you have an established routine where you write at a certain time every day or is it more catch as catch can? Do you prefer to write by hand or on a computer? MR: In this day and age, I only write at the computer. I am contemplating, but haven’t tried it yet, dictating into the computer to see if that would be a faster process than my fingers. When I am deep, mentally deep, into a story, I aim for somewhere between 1000 and 2000 words a day. I often will stop writing mid-sentence. In Stephen King’s book On Writing, he talks about an author who wrote for exactly 30 minutes every day and then stopped—even if in the middle of a sentence. This works for me. I can pick up the idea where I left off. And I write on that story, book, article until I’m finished, or feel like I’m finished with it. I know authors who have a favorite time of the day to write. I think because I have spent so much time as a freelancer, doing work on deadlines, I no longer have a “favorite” time to write. I do need quiet. No TV, no radio, no lawnmower next door. And I absolutely love the opportunity to leave my home for two to three weeks, go to an apartment or cabin away from everyone I know and everything that can pull at my attention; and then I can really crank out the work. ET: Our readers are especially interested in writers who publish their first books after the age of 40. You’ve said you especially encourage other Native writers and writers of color to follow their passions when they emerge and not wait as long as you did to become a writer. You, for example, initially thought you were going to be a therapist. Could you tell us a bit about your professional journey and what compelled you to pursue writing? MR: I have been writing since I learned how to write. But no one ever told me that I could make a living as a writer, or that writing was a legitimate career choice. At the time when I was going to college we were told to get degrees in law, medicine, social work or teaching so that we could “go back home and work for our people.” So I got a degree in Criminal Justice (pre-law) and American Indian Studies and worked for years in Native prison programs and worked as a therapist. And I would write short stories, poems, etc., and stuff them in a drawer. I reached a point where I said to myself, “What I really want to do is write” and I set out to do that. After a year of writing I thought, “I have three children, I better make some money at this.” And that is when I set out to get paid to do writing. I have supported my family since 1991 on my writing. This has included children’s books, writing-work for hire, newspaper journalism, plays, poems, some teaching of writing. Basically, any or all writing that would pay the bills. We need to tell our stories—because if we don’t tell our stories our grandchildren and great-grandchildren are going to read stories written by others about us—and the nuances of who we really are as a people will be lost in the translation. What I would say to folks over 40 – It is never too late, never. If you have a story inside you burning to be written, write it! And then submit, and submit and submit. Don’t obsess about rejection or perfection—just write and submit. To quote my dear friend and author Aurora Levins Morales, “…my mother encouraged me, advising me to not be perfectionist, and go ahead and write a B book instead of an A+.” Take those risks, never tell yourself no, or that it is too late, just get at it. ET: Given your own journey, are you involved in mentoring young writers at all? MR: I teach poetry in the county jails in the metro area here in the Twin Cities. About four to six times a year, a writing partner and myself go into the county jails for two weeks, every evening and teach poetry and help the women create a book of their work. That is the most direct, hands on mentoring I do. The other is mostly encouraging folks to write and to seek publication. I always share writing opportunities and information about them with other aspiring Native writers and women writers. ET: What writing are you working on now? MR: I am working on the second Cash book, a teen book, and hopefully will get to finish my play about a serial killer very soon. There’s something beautiful about the seasonal refrain of high school. We start with the optimism of autumn, we survive the dark days of winter, we are charged with the anxious energy of spring, and then we part for the summer. Teachers—like myself—often give students summer assignments. This year I’m assigning On Writing: A Memoir of the Craft by Stephen King to my AP Language students, and Everything’s a Text by Dan Melzer and Deborah Coxwell-Teague to my dual-enrollment seniors. I wasn’t always a fan of summer reading, but I’ve since been converted; after 13 years of teaching public school English, I’ve learned that an open-mind will save you. Teachers, I want you to enjoy the summer. Sleep in. Lounge by the pool. Go to the beach. Watch Netflix. Read books that you can never teach in school. Embrace the freedom of these months, but save a little time for healthy reflection. One of the best things teachers can do is write and read alongside our students. When I read John Cheever’s “The Swimmer” aloud with a group of 17-year-olds, I learn something new. I am reminded what it is like to see something for the first time; to be skeptical, and then slowly make an incremental but significant observation about the world through literature. You’ve got to be an optimist to be a teacher. You’ve also got to be willing to take a step back and reflect, and there’s no better time than during the summer. In that spirit, here are 15 summer assignments for teachers. Try one, two, or a few of these, and see if they get you thinking about your profession—one of the most honorable around. 1. Write alternating paragraphs about the best and worst teachers you had as a student. Then, identify when and why you’ve shared any qualities with them during your time in the classroom. 2. Write a two-sentence description of your class from the perspective of a student sitting front and center. Then write descriptions of the same length from the following perspectives: the student who dropped your course, the student who asked you for a recommendation letter, the student who wouldn’t stop talking. How do they each perceive you? 3. Describe the most fantastical, surreal fire drill evacuation possible. The only rule is that it must occur in the midst of one of your major assessments. 4. Why do you teach? Why don’t you do something else? 5. What is one stereotype about teachers that is a lie? What is one stereotype that is absolutely accurate? 6. Read a few pages of Gertrude Stein, and then a few poems by Gerard Manley Hopkins, and then a few pages of Toni Morrison. Explain what each writer is trying to do (with their language, their content, their style). Don’t say whether you like it or not; just try to understand. 7. Vent about one of your worst days during the past year. Fold it up, hide it, and forget about it. 8. Write a letter to the person who you identified as your worst teacher above. Give them the benefit of the doubt. 9. One of your most wonderful, compassionate students tells you that she wants to be a teacher. What do you say? What do you think? 10. Read an issue of a contemporary literary magazine. Try New England Review, Image, The Kenyon Review, Colorado Review, Salamander, West Branch, or others. Visit the current issue of an online publication like Booth, The Collagist, or Linebreak. Find work there to share with your students. I recommend Traci Brimhall, Kaveh Akbar, Saeed Jones, Erica Wright, Eduardo C. Corral, Morgan Parker, Rebecca Gayle Howell, Marcus Wicker, Tyler Mills, Adrian Matejka, Rigoberto González—find a writer who speaks to you, and who might speak to the lives of your students. 11. What is a book that you teach that your students hate? Why do they hate it? Be objective: are they correct? If not, what can you do to better teach the book—to better reveal why you think the book is important? 12. Write a letter to a student you’ve failed—not in terms of a grade, but as a mentor. 13. Write a dialogue scene between one of the writers whose work you teach and your students. Don’t have them talk about the writer’s book or writing style. Imagine how they would communicate in everyday life. Let them be people together. 14. List three times that you’ve experienced joy as a teacher. Be specific about the setting, the situation, the people involved. What can you do to capture that feeling again? 15. Praise yourself. Write a paragraph about what you do best as a teacher. After that, enjoy the rest of your summer. You’ve earned it. Over the course of eight novels, four short story collections, and a series of graphic novels, Neil Gaiman’s greatest work of invention has been himself. The author has 2.42 million Twitter followers, with whom he shares everything from exhortations about human rights to bored airport musings. His messy-haired, leather-jacketed figure appears at Amanda Palmer concerts, on Guardian comment pages, and even at the 2010 Oscars. He is ubiquitous enough to transcend the genre section of bookstores and accessible enough to retweet fans’ Kickstarter pages. Inviting his fans into his life like this takes the mystique out of writing and creates a sense of community, similar to the fandom of John Green. But fans want more: we want to be confided in — we want to make it real. Gaiman has made himself familiar and friendly without forging any real intimacy. One advantage of writing in the genres that Gaiman does is that no one ever expects the work to be autobiographical. The 50-something Englishman has never jumped a magical wall in pursuit of a fallen star or come home to find parents with buttons for eyes. Throughout his fiction, only small biographical details have snuck in: the tiny lakeside town that Shadow moves to in American Gods is reminiscent of Gaiman’s Wisconsin home, and the quiet boy who lives vicariously through the books he reads in The Ocean at the End of the Lane is Gaiman as a child — he’s said so himself. Gaiman controls the narrative, not just of his characters, but of himself, limiting revelations about the latter to the mundanities of daily life and charming childhood anecdotes about reading. But he has been sprinkling breadcrumbs for years in the form of speeches, introductions for anthologies, and newspaper editorials, all of which have been compiled in the 544-page The View from the Cheap Seats. The book is Gaiman’s first collection of nonfiction, containing everything he’s written from 1990 to the present day, from his now-famous 2012 “Make Good Art” commencement speech to text on the nature of cities from SimCity 2000. Some of the entries might’ve been better left to time, like an odd 1990 piece for Time Out about wandering London after dark that never amounts to much; we might not need two, back-to-back essays on Harlan Ellison. Yet taken as a whole, The View from the Cheap Seats is more than just an assemblage of a man’s clips; it’s Gaiman’s welcome entry into another popular genre: the writing memoir. Stephen King’s On Writing pulls in people who would never pick up a horror novel; Elizabeth Gilbert wrote a cross between a writing memoir and a self-help book with last year’s Big Magic. It’s not a coincidence that these titles are from well-known and prolific authors, whose writing memoirs offer a rare form of intimacy. King, aside from being a master of the macabre, is an astute grammarian, as revealed by a hilarious rant against passive voice in a memoir that also explores his childhood and addiction. Gilbert may have made her name on a deeply personal memoir, but it had the consequence of making her persona larger than life; Big Magic allows her to peel back the Oprah Winfrey-approved brand to expose the diligent and occasionally frustrated writer behind it all. These books are a way for the bestselling author to remind the reader they were once like them. And even if Gaiman didn’t set out to compile a writing memoir, that’s what Seats is. Words are inherently political to Gaiman, and writing and reading are a political act; the book features several defenses of reading as a way to teach empathy and build a better society. As this belief builds throughout the book, it’s not surprising when we come to Gaiman’s first-person account of a Syrian refugee camp in the final section. Why wouldn’t a man who has been writing for 30-some years because he believes words can facilitate change not write about one of the most pressing international humanitarian crises of our time? This is a writing memoir about why ideas matter, and sharing this with his readers is the ultimate intimacy — building a connection that is more than a shared fantasy of a boy in a graveyard or underground London. By the end, the biographical details scattered throughout the book don’t say nearly as much about the author as do his influences, motivations, and beliefs. After all, fans fall in love with authors for the worlds they create, and by inviting readers into his own fandoms, Gaiman reminds readers he is just like them. In one sense, The View from the Cheap Seats is Gaiman’s most personal work to date. Everybody, shut up. Just be quiet. Now, I realize that a group of writers like yourselves would jump all over the chance to point out the irony of me beginning a symposium on dialogue by telling everyone to shut up, but I don’t want to hear it, okay? Spare me. Let’s just get this over with. Jane Smiley, let’s begin with you. Thank you, Moderator. To dare to write about many different characters, and to keep them straight without the help of actors, is in many ways a bold endeavor. It imposes several duties upon the author. Well, each time a character speaks, he is likely to speak in a way that differs from every other character and also from the narrator because distinctiveness is one of the main methods an author has to organize his characters so the reader can keep them straight. Interesting. A very practical observation. Dialogue helps differentiate characters. Good. I have mentioned order, in the sense that the readers don’t want to get the characters mixed up, but there is also the progress of the plot. Characters in dialogue are required to more or less move the story along. If they are just sitting around chatting meaninglessly, then the novel comes to be about the meaninglessness the characters are demonstrating. Excuse me, I completely object. To what do you object, Mr. Mamet? You don’t have to narrate with dialogue. The only reason people speak is to get what they want. I wasn’t finished, Mr. Mamet. First of all, I said “more or less move the story along.” I understand that dialogue isn’t how you tell a story. But certainly dialogue must in some way pertain to the narrative, even if they aren’t speaking of the literal plot. Depending on his role in the novel, though, a character is also required to have something interesting to say that simultaneously deepens the reader’s knowledge of him, deepens the reader’s knowledge of other characters, deepens the reader’s understanding of the story, and best of all, deepens the reader’s knowledge in general. No, no, no. The purpose of dialogue is not to carry information about the “character.” In the first place, there is no such thing as character other than habitual action, as Mr. Aristotle told us two thousand years ago. It just doesn’t exist. Wait one minute! Why are we letting David Mamet in here? Are we all aware that he’s talking about films, not novels? Yes, but I’ve written novels. Yeah, like two. The Village and The Old Religion. And Wilson: A Consideration of the Sources. Okay. Whatever, we’ll call it three. But either way, I think your view of dialogue is greatly skewed by playwriting and filmmaking. So let me please interject a bit. We’re talking about the use of dialogue. That alright? Sure, do whatever you want. See if I care. First, I agree with Dave over there that dialogue shouldn’t be used for exposition. Many new writers use dialogue to communicate information such as “My name is Frank. I come from California.” This is the simplest use of dialogue. It’s okay for a job interview or a chance meeting in a bar, but in a novel, dialogue is meant to be working overtime. But I also agree with Jane about the many uses of dialogue. Every time characters in your novel speak, they should be: (1) telling us something about themselves; (2) conveying information that may well advance the story line and/or plot; (3) adding to the music or the mood of the scene, story, or novel; (4) giving us a scene from a different POV (especially if the character who is speaking is not connected directly to the narrative voice); and/or (5) giving the novel a pedestrian feel. Thought you didn’t care, Moderator? To answer your question: Absolutely. Making the dialogue seem pedestrian might seem counterproductive to the passionate writer. Here you are, telling us a story of profound feeling in which the main characters are going to experience deeply felt transitions, and I’m asking you for ordinary and prosaic dialogue. If you can get the reader to identify with the everydayness of the lives of the characters and then bring them — both reader and character — to these rapturous moments, you will have fulfilled the promise of fiction. The reader is always looking for two things in the novel: themselves and transcendence. Dialogue is an essential tool to bring them there. Okay, okay. Let’s get another voice in here. Francine Prose, you’ve been sitting over there quietly. What about you? Do you think dialogue should be pedestrian? Thank you, Moderator. In one sense, yes, I do think that. Among the things I remember hearing when I was beginning to write was the following rule: you shouldn’t, and actually can’t, make fiction dialogue sound like actual speech. The repetitions, meaningless expressions, stammers, and nonsensical monosyllables with which we express hesitation, along with the clichés and banalities that constitute so much of everyday conversation, cannot and should not be used when our characters are talking. Rather, they should speak more fluently than we do, with greater economy and certitude. Unlike us, they should say what they mean, get to the point, avoid circumlocution and digression. The idea, presumable, is that fictional dialogue should be an “improved,” cleaned-up and smoothed-out version of the way people talk. Better than “real” dialogue. Then why is so much written dialogue less colorful and interesting than what we can overhear daily in the Internet café, the mall, and on the subway? Many people have a gift for language that flows when they are talking and dries up when they are confronted with the blank page, or when they are trying to make the characters on it speak. And you also agree that dialogue shouldn’t be used for exposition? But even when novice writers avoid this sort of dialogue, what they do write often serves a single purpose — that is, to advance the plot — rather than the numerous simultaneous aims that it can accomplish. To see how much dialogue can achieve, it’s instructive to look at the novels of Henry Green, in which many of the important plot developments are conveyed through conversation. Oh, wonderful! Finally, some examples! I’ve been waiting for over a thousand words for this. Throughout Green’s work, dialogue provides both text and subtext, allowing us to observe the wide range of emotions that his characters feel and display, the ways in which they say and don’t say what they mean, attempt to manipulate their spouses, lovers, friends, and children, stake emotional claims, demonstrate sexual interest or unavailability, confess and conceal their hopes and fears. And it all passes by us in such a bright, engaging splash of chatter that only slowly do we realize how widely Green has cast his net, how deeply he has penetrated. “Did your father happen to mention that he’d taken me out the other afternoon?” she inquired. The boy broke into mocking laughter, with his mouth full. “Are your parents still in love?” she asked. “All in all, I imagine they were still very much in love,” she suggested. “I expect so,” he said. In this passage from his final novel, Doting, nineteen-year-old Annabel Payton has invited Peter Middleton, a student two years younger than herself, to have lunch at an inexpensive Indian restaurant near her office. Annabel has a crush on Peter’s father — as the awkward, somewhat thick-headed Peter may or may not be aware — and is attempting to extract information about Peter’s parents from her lunch companion. Word by word, the dialogue captures the rhythm of someone trying to discover something without disclosing something else, of an interlocutor who cannot stop pushing until she finds what she is seeking. It’s a model of social inquisition carried out by someone who doesn’t much care about the person she is interrogating, except that she would like to keep him from forming a low opinion of her and from figuring out what she is doing. “Oh none,” she agreed casually. Let’s get technical for a second. Why is that scene so suggestive of things without spelling them out? What makes Green’s use of dialogue so effective? Can I step in here for a moment? Oh, I didn’t realize we had critics here, too. Well, I’m also a novelist. The Book Against God. Anyone? Anyone? We haven’t read it. But go on. Maybe a critic’s opinion will be useful here. So you think the excerpt that Francine presented is effective because of the lack of “explanation”? Yes, information is communicated silently, slowly, through careful accumulation of a character’s actions, their words. Olga, as she asked her husband this question, wore the look of a wounded animal, her lips were curled back from the teeth in a grimace and the tone of voice she used betrayed all those years a woman can give by proxy to the sawdust, the mirrors and the stale smell of beer of public bars. Do you agree with all of that? It seems a bit strict, doesn’t it? Almost overbearing? Yes, you’re quite right. Green, counseling against being overbearing, is laying down a fair amount of prescription himself, and we do not need to take his doctrine scripturally. Notice that when Green does his parody of explanation, he also falls into a deliberately breathy, second-rate style (“wore the look of a wounded animal”), whereas we can imagine something more continent, less offensive: “Olga knew what time he would come home, and in what state, stinking of beer and tobacco. Ten years of this, ten years.” Fulsome explainers like George Eliot, Henry James, Marcel Proust, Virginia Woolf, Philip Roth and many others would all have to retire themselves in Green’s universe. Okay, okay. Let’s take a pause for a moment. What have we learned here so far? Anything? It seems that every rule you try to make about dialogue has many contingencies, many exceptions, ways around it. Characters shouldn’t speak in blatant exposition but subtle forms of expository information are allowed. They should sound like “real” people but not exactly like real people, as normal conversation consists of ums and ers and likes and, truthfully, uninteresting filler. Writers should let the characters’ speech say more about them than the narrator, though we have numerous successful examples of writers who break this rule. Finally, dialogue should always be performing multiple tasks at once. Is there anything else? Anything practical? Anything at all like a rule? Yes, I have something to add. “Put it down!” she shouted. “Don’t be such a fool, Jekyll,” Utterson said. “Put it down!” she shouted menacingly. “Don’t be such a fool, Jekyll,” Utterson said contemptuously. The three latter sentences are all weaker than the three former ones, and most readers will see why immediately. Contemptuously is the best of the lot; it is only a cliché, while the other two are actively ludicrous. “Put the gun down, Utterson!” Jekyll grated. “Never stop kissing me!” Shayna gasped. “You damned tease!” Bill jerked out. Don’t do these things. Please oh please. The best form of dialogue attribution is said. All I ask is that you do as well as you can, and remember that, while to write adverbs is human, to write he said or she said is divine. Okay, good. A rule of sorts. I like it. Yes, Mr. Mamet? To get what they want! That’s why people talk! So what do you want, Mr. Mamet? Why are you talking right now? I want future generations to make great art! I’m trying to help. Help us now by being quiet. What was the point of this symposium? Have we really learned anything? Let’s get the writer in here. What was the point of this? What, could you not think of something to say yourself? Well, kind of. I realized that I didn’t have anything new to add about dialogue. All the observations I could make I’d first heard articulated in these books. What could I add? That’s laziness disguised as modesty, Mr. Clark. I’m not buying it. Well, the other thing was that none of these writers had anything definitive to say. Everything they said had some qualification to it. Or, if they were more stringent, I could think of a great counter example. So I thought that if I put a bunch of voices together and showed how difficult dialogue is to even talk about, I’d maybe contribute something useful. Let me spoil it for you: you didn’t. Can I go now? I’ve got a long flight. Me, too. Plus I’m hungry. The invite said there would be snacks. I don’t see any snacks. Everyone up for a bite to eat? Or you, Jonathan. None of us even know who you are. Plus you only put us all together because ours were the books you happen to have on your shelf. But at least that means I bought all your books! Looks like it’s just you and me. We’re the exact same person. So, basically, you’re by yourself in your room. And you’re talking to yourself. Yeah. Funny. In a symposium about dialogue I end up alone, talking to myself. And what does that tell you? That dialogue is a conversation a writer has with himself, a conversation he has with his characters and a conversation between characters. That it’s all three. That, ultimately, the art of dialogue lies within the writer, determined by how he perceives people, human interaction, motivation. That dialogue, as much as it speaks to a character’s identity, speaks to the writer’s as well. That rules are almost impossible. That a writer has to engage with dialogue, be in conversation with it, so to speak. I was going to say that you need some real human friends. I mean, listen to yourself: you’re talking to yourself about fake characters talking to each other. Pretty sad. You know what’s worse? To me, it isn’t sad at all. If the only dialogue I have in my life is the dialogue of great writers, I don’t have a whole lot to complain about. They’re great conversationalists, at least. Yeah. At least you’ve got that. Come on. Save the document and be done with this. Both formulations, I think, are wise; but it was the fact that she had the presence of mind to pause and rethink her answer in the midst of a crowded party that struck me as the real object lesson in patience. You can sense that same calm in Shapiro’s new book, Still Writing, a writing guide that is partly advice gleaned from years of teaching, and partly a memoir of Shapiro’s own growth and struggles as a writer. It’s a book that focuses on process more than craft, and in particular, the importance of routine. Shapiro is candid about her own habits of procrastination, as well as the rituals that have helped her to overcome her worst impulses. I interviewed Shapiro in late September, just before her book was due to hit the shelves. She spoke to me from her home office in Connecticut, which she describes in detail in Still Writing, including the antique chaise lounge where she often sits to read and write. The Millions: So, I feel like I know exactly where you are because I’ve read all about your workspace in your book. Dani Shapiro: Ha, yes, I’m not on the chaise lounge, but I’m looking at it. TM: And were you writing this morning? DS: The irony of Still Writing being about to come out is that I’m not getting any writing done at all. I’m doing the stuff that writers do when we are about to get a book into the world. It becomes over-stimulating at a certain point. I’m not remotely able to always practice what I preach. For me when I’m working on the book, I pretty much just work on the book. There’s the writing and then there’s the talking about the writing. And I feel like they occupy really different places in a writer’s life. TM: When does this stage of nervous expectation come to an end in your experience? When will you be able to write again? DS: You know, one of the things that I increasingly understand over the years — not that it makes the process easier, not that I understand it better — is that so much goes into a book — giving it everything we’ve got, holding nothing back — so that when a book goes out into the world, it’s like watching your toddler making its way across the highway during rush hour. It feels like a defenseless and vulnerable newborn and it requires a lot of support. And also, nothing is ever enough. I don’t know a writer who actually feels, “Oh, excellent, I got that great Times review.” I have a friend who got a beautiful Times review for his debut novel and I was so pleased for him. And he called me up and the feeling was more of relief than joy — of crossing that thing that you had been so worried about off the list. And, I’m just going to be really honest here, in the last five minutes before you called me, I saw on Twitter a really lovely review of Still Writing and in the same five minutes I also saw that an essay that I had written for Ploughshares, one that I hoped would make it onto the list of notable essays in Best American Essays, didn’t make it onto the list. And so there you have it. I would like to be the kind of person who appreciates kind words from a friend rather than looking for my name on some list. I mean, who even reads the list of notable essays except for people who are hoping to be on it? I bring up that example because this is a noisy, noisy world we’re all in. That’s not going to change. And I think for writers and for anyone in a solitary profession, there’s always this Pavlovian response to want to know more and to want to know what’s going on. And there’s such a danger in that. And when I’m writing I really do shut it down. I actually wrote an essay about this called “#amwriting.” There’s this hashtag on Twitter, #amwriting, and I started looking at it and thinking “No, you’re not!” And so I wrote this essay about it on n+1, about trying to do the work. For writers, the Internet really is like crack. Almost every writer I know struggles with it or has found a way to really shut it down. We require all these tools and rituals, whether it’s a different computer or whether or it’s writing by hand, which is what I do when I’m starting something new. There’s such freedom in a notebook. And there’s this great program Freedom, which allows you to work on your computer without going online. TM: Yes, I actually just reinstalled after reading your book. I had it on my old laptop and recently I’ve been really distracted. It has to do with trying to balance childcare with writing time. So I realized I had to start using Freedom again. DS: For me new motherhood was a very conflicted time. The feeling of carving out the time to write and feeling like somehow it was a luxury or frivolous in some way. Like it was not something I needed to be doing. Which is ridiculous because I support my family with my writing. But somehow if I’d have to put on nice clothes and go to a law firm and have a boss it would be — well, women in that position are conflicted, too. But with writing you have to make it happen and you can’t just show up for it. And I think that’s where the Internet comes into play. TM: Being on the Internet can feel very productive. DS: Yes, it can be in the name of research, it can also be email. I feel it in my brain, I can feel when it’s been a few hours since I’ve gone into my inbox. When I go online my brain feels like it’s sizzling. It’s not a good way to think for someone who needs to make intuitive and imaginative and memory-based connections. Someone who is operating at a different frequency. TM: What inspired you to write this kind of book, a writing guide for writers? DS: Well, I first of all never thought I would write book-length nonfiction after Slow Motion. But in 2008, 2009, I was in that state of being in-between, which I talk about in Still Writing. It’s never comfortable, no matter how many books I write, it always feels like this time it’s going to be different, this time it’s going to be over and I won’t have an idea. But then Devotion presented itself as the next book. And it wasn’t the book I would have picked. It was another memoir — and a spiritual memoir, my god! And so I wrote Devotion and that really ended up being a life-altering journey. And I had to get past my own resistance about it because I had a job to do. And just as when I wrote Slow Motion I had a feeling that it was going to change my writing life. In my novels before Slow Motion my obsessions were leading me around, and in my subsequent novels I think I have been a bit more in charge. Writing Slow Motion gave me a new lens, a different way of entering my imagination because I had taken care of writing that memoir. And so I had the sense that when I was writing Devotion that it was changing my lens again. But when I was working on Devotion, I also started working on a novel. Which I never do. And I started talking about it, which I caution people not to do. I wrote myself right into a wall. It was some of the best writing I’ve ever done, it was fragmentary, a collage, a hybrid fiction that employs nonfiction within it. A gray area, blurred boundaries. It’s something I’m very interested in right now. But it’s very tricky territory. And for the first time in my writing life I put a big chunk of writing in the drawer. And in the meantime, for the last number of years, I’ve had a blog. Initially I had a blog because everyone told me to have a blog. And when I started, I thought what can I regularly blog about that feels like a deep enough well? And the answer was: the process of writing. The creative process itself. What it takes to do the work, what are the pitfalls and the joys, the struggles and the privileges. We do what we do alone in a room. Yet we’re struggling with the blank pages. People call it different things. It’s a leap of faith or lunacy that makes you feel that what you are going to fill it with is something that’s going to connect with other people. And so I started this blog and over the years I got tons of notes and it was from such a range of writers. And they always said the same thing: “This is what I needed to hear today.” I never thought about turning it into a book — even when people wrote to me and asked if it was going to be a book. And finally, it was in that space of finally putting a big chunk of a novel into a drawer that I thought, well, maybe this is the book I’m supposed to be working on. I sold Still Writing based on the fact that I had a blog. But I didn’t look at the blog when I wrote Still Writing. I really wanted to start from square one and find a way to structure a memoir hybrid that would hopefully be useful and so that it didn’t feel like assembled material. TM: It’s interesting that the book springs from that experience of getting stuck. Did you feel as if you were writing it for yourself, in a way? DS: One of the things that I felt was that the minute you really think you know something, you’re in trouble. I remember I was being interviewed for a literary magazine as I was working on the novel that I put in the drawer. And they asked if I had ever had to put a novel in a drawer. And I said no, I’d been lucky that it hadn’t happened to me. But I was thinking to myself, That would never happen to me. And meanwhile I was working on the very thing that I ended up putting in a drawer. In Still Writing, I was thinking more of, what do I need to remind myself of? I think that’s one of the reasons I love teaching. There are these moments when I teach when I say something and I realize it’s true and I hadn’t thought of it in that way before. And that’s when teaching is at its most alive. And I think this book came from my teaching self as much as from my writing self. I think it comes from the twenty years of teaching and especially the kind of teaching that I do, which really has a lot to do with trying to help people find courage. Speaking of moments when I say something that I realize is true: years and years ago I was teaching an MFA course and I remember saying that I thought voice was practically synonymous with courage. And when I said it, I thought, that’s right — you can’t find your voice without having that sense of courage. It’s not confidence. It has nothing to do with confidence, it has to do with moving past fear, embarrassment, mortification, shame. It’s knowing where you’re writing from. TM: How aware of the genre were you when you began? Did you read other writing books or look to any others as a guide? DS: I went back and I looked at a lot of them. Because I had to ask myself the question of why do we need another book on writing? I went back to the ones that I found most illuminating, the one I could just dip into always. The one that was model for me and that I felt I could add to in some way is Annie Dillard’s The Writing Life. It’s pure wisdom. It doesn’t instruct exactly. It goes very deeply into the head of a writer. And there’s nothing sugarcoated about it. It’s not saying everyone can do this. And I’ve come to this recently lately, this idea that there are two kinds of teaching now when it comes to teaching writing. There’s writers who are coming to the workshop or a retreat because they’re trying to get it right with every fiber of their being. And then there’s this other world of writers who will go to a workshop or a retreat because they’re trying to get it down. And getting it down and getting it right are two different things. For some writers getting it down is enough. And I think that has more to do with writing as a kind of therapy or catharsis. And getting it right has nothing to do with that. With Dillard, you see the absolute clarity and wisdom of her intention. She says a good book takes ten years. And I feel like reading that to my students who want to have a book deal by the time they graduate. Stephen King’s On Writing I owe a debt to because the first half of that book he writes in bits and pieces — not in any kind of narrative way — about what formed him as a writer. A light bulb went off for me. I saw I could incorporate memoir, and it gave the book the chronology of beginnings, middles, and ends. It was a little scary to look at my process, because it’s a Pandora’s box, the question of what am I going to find? What did it mean to be an only child? What did some of the painful or difficult life lessons that I learned early in my life, what did they have to do with forming my subject matter? Bird by Bird by Annie Lamott was also an influence. Another book, one that I actually didn’t know if it would still speak to me, was Natalie Goldberg’s Writing Down The Bones. Goldberg has a kind of spiritual cast to her writing and she’s someone who has a spiritual practice. As I read them, I felt like what I wanted to do was different enough. It didn’t feel like that’s been said, that’s been done. And the reason I’m saying that is because in writing every other book I’ve had the feeling that I had to write it. Still Writing didn’t feel like I had to write it. TM: I was wondering about that, because in Still Writing, you describe how your books announce themselves. And I wondered if this one had announced itself. DS: Other people kept announcing it to me! It was one of those moments of realizing that there was something that I had apparently been doing for a few years without consciousness of it, something that was striking a chord. I can’t imagine approaching a piece of fiction that way. TM: So, may I ask — knowing you do not like to talk about work in progress, and knowing that you are currently in a state of nervous expectation — if you are working on something new? DS: I will give you a very reserved yes. But I have a piece of short fiction coming out in a couple weeks that Electric Literature is publishing. I’ve mostly been working on that short story, “Supernova.” Actually, it’s about two of the characters from the novel that is in the drawer. Because I really, really was and am attached to the characters and even though it was in the drawer, it had a heartbeat. It was alive. So I pulled them to see what would happen if I gave them a life of their own away from the larger work surrounding it. Aside from that short story there is the strangeness of…well, I taped an hour with Oprah! TM: I was going to ask you about that — I saw a notice on your website. What show is it for? DS: It’s called Super Soul Sunday and it’s on her network. It’s amazing in terms of the company. She interviews people like Elie Wiesel and Maya Angelou. And she actually has Annie Lamott coming on. And this great Buddhist teacher called Jack Kornfield. And Karen Armstrong who has written some of the best spiritual biographies. It’s about what she loves to do, which is to have a deep conversation about how to live a meaningful life. It’s what she’s interested in. I couldn’t believe it when I got the call. It was very instructive to get that phone call because obviously I wasn’t expecting it. And around my house we’re pretty regularly waiting for phone calls. But it’s a law of nature that the phone never rings when you’re waiting for. The day I got the call from my agent about Super Soul Sunday I was shocked. I’ve been shocked before by bad news. I didn’t know good news could shock you in the same way. The next morning I said to my husband, “Did I dream that? I really think I may have dreamt that.” The good news can also emerge out of the ether, out of the blue. Anything that has ever happened to me hasn’t been when I was waiting for it. If you haven’t heard of Benjamin Percy or his new book, Red Moon — hailed as “an ambitious, epic novel” by Publishers Weekly — chances are good you’ve come across one of his articles or reviews in a myriad of popular magazines. Last year, he spent a few days with John Irving and (literally) wrestled the 70-year-old author of A Prayer for Owen Meany and The Cider House Rules for a profile in Time magazine. Esquire published his compelling, intensely personal essay, “How a Percy Gets Old: Lessons from Four Generations of Men,” earlier this year. And in March, GQ published an article about his experience wearing a pregnancy-simulation suit (called the “Empathy Belly”) designed by Japanese scientists, which led to a strange appearance on the Today show. That’s a lot of exposure for the author of Refresh, Refresh and The Wilding, two well-received books published by Graywolf Press, and The Language of Elk, his debut story collection originally published by a university press. As of this writing, Red Moon is in the top 20 of several Amazon.com categories, including “Literary Fiction” and “Fantasy,” so that exposure, backed up by a national book tour and Grand Central’s hardworking publicity department, seems to be working. The Millions: Red Moon, like the werewolves at the heart of its story, is a shapeshifting hybrid — a literary horror novel. In what tradition do you place this book? Benjamin Percy: If people want to call it a literary horror novel, that’s fine. I know it makes them feel better in a neat-freaky sort of way. Like balling their socks and organizing them in a drawer according to color. And I know it’s a talking point, a frame for discussion. But really, people, it doesn’t matter. These are phantom barricades. What is Margaret Atwood? Or Kate Atkinson? Or Cormac McCarthy? You could argue them into several different corners of the bookstore. If I’m going to align myself with anyone, it’s them. And Peter Straub and Dan Chaon and Larry McMurtry and Ursula K. LeGuin and Tom Franklin and Susanna Clarke and anyone else who makes an effort to be both a writer and a storyteller, someone who puts their muscle into artful technique and compulsive readability. TM: A few prominent literary writers have published horror-related or –themed novels in the last few years. Like them, you received much praise for your earliest work, but this novel will reach the largest audience. Do you worry that readers will tire of the literary crossover novel? BP: Realism is the trend. That’s what people seem to forget. Look back on the long hoof-marked trail of literature. The beastly majority of stories contain elements of the fantastic. It’s only very recently that realism has become the dominant mode. And that’s changing. Thanks to people like Michael Chabon and Jonathan Lethem, who have been cheerleaders for the Avengerization of literature, and thanks to writers like George Saunders and Karen Russell and Kevin Brockemeier and Matt Bell and Kate Bernheimer, who have a kind of hybridized vigor and playfulness to their work that makes them neither fish nor fowl, both literary and genre. Some people have referred to Red Moon as a departure for me. It’s no departure except stylistically: I have written an epic, sweeping novel (whereas my previous work has been compact). I grew up on genre and even my so-called literary work is plotted and employs the tropes of horror. “Crash” is a ghost story. So is “Unearthed.” “The Caves in Oregon” is a haunted house story. “The Killing” is a pulpy tale of revenge. “When the Bear Came” and “The Woods” are creature-in-the-forest stories. My short story “Refresh, Refresh” was originally a fantasy in which the boys transformed into their fathers by the end. My novel The Wilding originally contained an ending that revealed a supernatural monster. Both were edited into realism. There is no crossover. Red Moon isn’t some dalliance. This is the kind of book I’ve been working toward writing my whole life and this is the kind of book you’ll be seeing from me from here on out. TM: You’ve had a lot of new experiences related to the publication of Red Moon — meetings at Amazon headquarters, a trip to the United Kingdom to promote the book, and an appearance at the Texas International Comic Con (Comicpalooza). What has surprised you most about this stage of your career? BP: I’m in a constant state of surprise. I don’t take anything for granted. In part that’s because of the way I was raised. And in part that’s because I faced a steady stream of rejection for years before finding any sort of success. Every publication, every award, every event is gravy. There is no point in my life when I have thought, “I’ve made it.” I don’t think there ever will be. I’m constantly amazed (and almost embarrassed) by good news. And I’m constantly certain that something terrible will befall me. On a daily basis, I think about back-up jobs. Like, postal carrier. I think that would be a killer job. Just walk around, whistling, tucking letters into mailboxes, thinking up stories. And I might be considering something like this — how I’m going to pay the bills, how I’m going to get my kids through college — right after I walk out of Amazon’s offices or off a stage at Comicpalooza. Because that’s the way my mind works, I have to remind myself to enjoy the moment. My buddy Jess Walter — novelist and zenmaster — is really good at this. I get on the phone with him and he tells me to chill out, look around, appreciate how the hard work has paid off. And for a few minutes I’m like, “Yeah! You’re right, Jess Walter!” And then I go back to grinding my teeth down to nubs. TM: Is it true that your agent, Katherine Fausset, sold the novel before it was written? She’s also thanked in the back of your first book, a story collection published by a university press. At what point did you start to work with her? Has working with her affected or influenced how you approach writing fiction? BP: Katherine sold Red Moon based on seventy pages, accompanied by a twenty-page outline. Same goes for the next novel, The Dead Lands, which releases in June 2014, a post-apocalyptic reimagining of the Lewis and Clark passage. She’s the perfect combination of tough, smart, witty, and sweet — as an editor, advisor, champion, friend. We began working together in 2004. At the time, I had “sold” my first book on my own to Carnegie Mellon University Press, after soliciting many agents and editors and hearing the same thing from all of them: “Get in touch when you have a novel.” After I signed the contract, I made a ballsy move, posting the deal on Publishers Marketplace, describing it in the most flattering terms possible. My inbox flooded with emails from Warner Brothers, the Paris Review, Albin Michel (who remain my French publisher), and a long list of agents who noticed I wasn’t represented. I was in the fortunate position to get on the phone and talk to all of them before deciding that Katherine was the best match. She’s my first line of defense, the person I send my manuscripts to before they head off into the wild world, and she always has an insightful response, editorial and business savvy. TM: What is your work day like when you’re at home? Are you able to write while you travel? BP: On an ideal day, I wake up at six, box up some lunches, ship the kids off to school, then brew a pot of coffee and head downstairs to the cobwebby dungeon where I work. I’ll spend six to eight hours hammering the keyboard and then — come mid-afternoon — I’ll climb out of the dark to play with my kids, hang with my wife, catch up on chores, help cook dinner. When I travel, I’m reading on planes, writing in hotel rooms, which doesn’t suit me, but I make it work. A quiet routine is the best friend of a writer. TM: Grand Central just reissued your first book, The Language of Elk, as an eBook. What will readers of Red Moon think of that book or Refresh, Refresh, your second story collection? BP: I wrote the stories in The Language of Elk when I was twenty-two, twenty-three, twenty-four. This was my time in grad school. Once I “sold” the collection, it took another two years to come out. People might be interested in them archaeologically — to see how far I’ve come stylistically, thematically. Of the stories in there, “Swans” and “Unearthed” are the ones I’m most proud of, but even they make me cringe. I wish I could go back in time and workshop myself violently. But that’s how I am with all of my writing. I’m immediately dissatisfied with it. I’ll edit myself even when standing behind a lectern, reading to a room full of people. I’m glad for that — it means I’m always chasing something better, never plateauing. TM: Aside from length, what do you perceive to be the essential differences between the short story and novel forms? Do you see yourself continuing to write short stories? BP: I have another collection ready, but Katherine wants to wait and shop it after I have a few more novels out. I love short stories — writing them, reading them — but over the past few years my mind has rewired and I think almost exclusively in the long form. The differences between novels and short stories are legion, but to break it down as simply and generally as possible: a short story is a stylistically vigorous glimpse of a life. TM: The Wilding, your first novel, is about a son, father, and grandfather who find trouble during a hunting and fishing trip into the mountains. The role of Karen, the wife/mother back at home, is less important — it’s a subplot. The majority of your short stories are about men or boys. At what point did you decide to make Red Moon’s protagonist a teenage girl? BP: Red Moon has a huge cast — and I’d say six of them are identifiable as protagonists. They are men and women, young and old, the infected and the uninfected — from all different geographic and cultural and political backgrounds. I wanted these myriad perspectives to tangle together, contradict each other, supply a complicated vision of complicated subjects: xenophobia, terrorism. With that said, Claire and Miriam are my two favorite characters in the novel. Red Moon has more in common with X-Men than it does Twilight, but I did have Bella in the back of my mind when writing. I’m disturbed by how she — emotionally and physically abused by the man/vampire she falls in love with and sacrifices herself to — became a role model for so many. I’m surrounded by fiercely strong women. My mother is a warrior. My wife is a force, and our daughter is like a miniature version of her. All of my bosses (department chair, editors, agent) are tough as hell, smart as hell. So I was thinking more about them when building the characters of Claire and Miriam, who are stronger than any of the men in the novel. TM: In an interview several years ago, you mentioned having abandoned earlier novels, but that The Wilding played to your strengths. What do you see as your strengths now? BP: I didn’t abandon any novels. I completed four — all failures — and buried them. Most writers have a similar arc: you get the bad writing out of your system. Throw away a few thousand pages. The Wilding, my first published novel, was a negotiation between the short and long form — in that it has a small time frame, follows a small cast, takes place on a small stage. It was a gateway to the epic sweep of Red Moon (which is a novel that follows many characters over many years in many different places). I’ve always loved the epic — the immersive reading experience provided by T.H. White’s The Once and Future King, Susanna Clarke’s Jonathan Strange and Mr. Norrell, Stephen King’s The Stand — and I’m excited to have conquered something of this scope. It’s the same exhausted satisfaction that comes from completing a 10,000-piece jigsaw puzzle. With that said, I know I can do better — and plan to in the next novel. TM: You’ve published a number of articles about the craft of fiction writing, including several for Poets & Writers, and a craft book, Thrill Me, is on the way. How do you answer critics who say it’s too soon for you to publish a book of writing advice? That it’s too early in your career to assume that role? Stephen King, a writer you admire, had been publishing novels for twenty years before On Writing. BP: Writing a craft book is such a small pebble tossed in the big lake of letters, I can’t imagine anyone even noticing or caring. Dozens of people will be outraged by the dozens of people who read my writing advice! I’ve been teaching writing for over a decade — including time served in MFA programs, among them the Iowa Writers’ Workshop — and I’m a regular on the conference and festival circuit. And people use my Poets & Writers columns regularly in classes, so I guess I must have at least a few nuggets of half-assed wisdom to share. What distinguishes the book is this: I’m not going through the standard motions, talking about character, setting, point of view, and blah blah blah. I’m looking at genre through a literary lens and focusing especially on how to ramp up suspense and momentum. Hopefully it will be helpful. TM: Young writers are often told that teaching will take time away from their writing, but it doesn’t seem to have hindered you much. BP: I’ve had some killer teaching loads. The 4/4, with four different preps a semester. All writing classes of thirty students or more, so that I was grading what amounted to two thousand pages a semester. And doing service. And raising kids. And renovating a house. But if you know me — like, live near me, see me regularly — you know that I’m no fun. All I do is work. I’m obsessed. Writing is my obsession. And when I had those heavy teaching loads, I would sleep four hours a night in order to get the writing done. The writing has always been the priority. Everything else is what I need to do, but writing is what I must do. If you don’t have that mindset, then you’re always going to be prepping class or grading papers before you’re building worlds, pushing sentences around. TM: You’re adapting The Wilding for the screen, working with producer Shana Eddy and director Guillermo Arriaga (Babel, 21 Grams). To my knowledge, this is your first screenwriting job. How did this opportunity unfold, and what have you learned during the process? BP: I’ve written a few original screenplays that didn’t go the distance, but taught me quite a lot. But yeah, this is my first job as a screenwriter. If you look at Arriaga’s Twitter bio, you’ll see that he describes himself first as a hunter, then a storyteller. When Shana read about the book, she thought it would match his sensibility. It’s been fun, getting a second chance on a novel. And playing around with the form. Arriaga always employs a non-linear design and he wants me to do the same. So I’ve rearranged the narrative in a way that contributes to suspense and gives the viewer the sense of being lost in the woods. TM: The magazine writers I know work hard — they’re word hustlers — but they don’t have major book contracts and movie deals and a university position. Maybe one of those, sometimes two, but not all three. Why do you write for magazines? What do you get out of it? BP: I’ve never had writer’s block because I keep a lot of irons in the fire. When I get sick of the novel, I write a short story, fiddle with a screenplay or comic script, hammer out a craft essay, pitch an article. Then I return to the novel, which is always my central concern, with renewed energy and a fresh perspective. So there’s that — this compulsion I feel to dabble in all different forms of storytelling — and there’s this: magazine writing is fun. I typically take on some sort of challenge (like, jump out of a plane, raft a river, hang-glide off a mountain, climb a 250-foot old-growth tree and spend the night in it, go on a crazy detox diet in which I drink only water and eat only fruits and veggies for 21 days). Usually it’s something I want to do or need to do, and then I scam an article out of it. When writing fiction, I’m visiting faraway places and meeting new people, but only in my mind. Magazine writing puts me in new and uncomfortable situations, introduces me to interesting people, exposes me to danger—all of which I’ll probably find a way to channel into my fiction as well. TM: “Refresh, Refresh” was adapted into a graphic novel by the talented Danica Novdorgoff. Do you have plans to write an original graphic novel or comic book series? BP: I’ve talked to Vertigo [an imprint of DC Comics] several times — we’ll see if something flies there — and I’ve just finished a graphic novel that M.K. Perker will be illustrating. TM: What would you go back and tell young Ben Percy, the boy just beginning to dream of becoming a writer? BP: I was going to say something like, “This is going to be a long painful apprenticeship. Be ready to put in your 10,000 hours at the keyboard before you produce anything of note,” or “Read your brains out and write your brains out,” or “If you want to go the distance, you’ll need the right balance of ego and humility,” but I learned all of that without anyone whispering Yoda-esque platitudes in my ear. So I guess I’d say what Jess Walter is always saying to me, “Don’t forget to enjoy yourself.” Not that I’d listen.